This week we have Leica’s slim M10, Toyota’s GT86, vibrating smart jeans and more. This week Leica has taken the wraps off its latest camera, the M10. This is the company’s slimmest retro snapper yet and the new addition to the M rangefinder series. 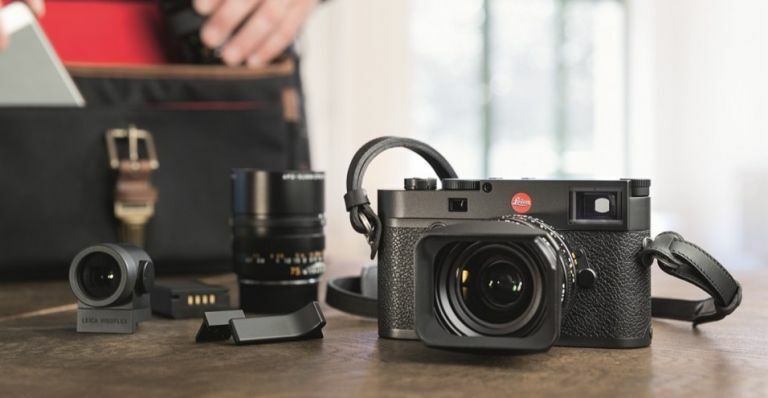 The Leica M10 features a 24-megapixel full-frame CMOS sensor and an increased magnification factor. It also has a price tag - deep breath - £5,600. Spinali Design has come up with jeans that cram in vibrating pockets which Bluetooth connect to a smartphone. Why? For directions. Yup, these jeans will vibrate on the left or right side depending on where you need to turn so you can follow smartphone navigation without taking your phone out - saving battery and hassle. T3 took to the snow to put the latest Toyota GT86 through its paces. Yes, it’s rear wheel drive. Yes, the snow made that challenging. And yes, this car is a whole lot of fun. The new model looks like the previous as there really wasn’t a lot to improve on. Even the engine is the same naturally aspirated 2.0-litre engine. It’s been tweaked with an enhanced injection technology to help throttle response, power and torque. Check out our drive experience to learn more at the link below. When it comes to new Oculus Rift content, there isn’t always that much of it. And when it does arrive not everything is worth shouting about. Dear Angelica is worth it. If you have access to a Rift now is a good time to dig it out. Dear Angelica is a short animated VR film that will move you. Read more at the link then get downloading, for a VR experience you won’t forget.